Universities are investing heavily in electronic resources. As a way of embracing new developments, the University of Ilorin, Nigeria, has spent millions of dollars building a usable e-library. However, research indicates that potential users may still not use e-libraries. 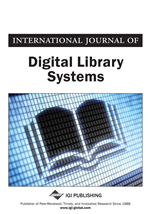 This study examines user acceptance of e-library from the perspective of technology acceptance mode (TAM). E-library system characteristics, organisational context, and individual characteristics are identified as variables that determine acceptance. Data was collected through self-designed questionnaire from 1,500 undergraduate users of the e-library. The findings revealed that the acceptance constructs, ease of use, perceived usefulness, actual use, satisfaction, relevance, awareness, computer/internet self-efficacy, and social influence, significantly correlate with e-library acceptance. The study suggests that all eight factors jointly pulled 69% prediction of the users’ acceptance of e-library. The study recommends that e-library users at the university increase their computer and internet self-efficacy, which significantly enhances their use of the e-library system. The university can assist in this matter by organising computer training for the students. Electronic library is understood to be digital collection of real or virtual resources, which may also be available elsewhere. These resources must be whole works, with which humans can have a complete cognitive or affective engagement. E-libraries are collections of information that have associated services delivered to user communities using a variety of technologies (Arms, 2000). The collections of information can be scientific, business or personal data and can be represented as a digital text, image, audio, video or other media (Frias-Martinez & Chen, 2005). Electronic libraries provide opportunities for widespread dissemination of information in a timely fashion. With this development, access to information in a networked world is now the concerned of many people. Electronic libraries are one of the most common web services for information seeking. Their main advantage is also their main disadvantages. Digital libraries are designed with a global approach for everyone. This implies that all users are presented with the same interface. Previous studies have proved to help users search information by matching the interface to their preferences. Due to the amount and great variety of information stored by e-libraries, they have become, with search engines in general, one of the major web services (Liaw & Huang, 2003), which are faced by a diverse population of users who have heterogeneous background, skills, and preferences. Considering how the interfaces of e-libraries can support different users to accomplish their tasks is important. As suggested by previous studies in information seeking (Marchionini et al., 1998; Blandford et al., 2001), matching the interface with users’ preferences can help them to achieve their tasks in a satisfactory way. Nevertheless, in general, e-libraries have a global approach in which the entire users are presented with the same interface, regardless of the diversity of users’ preferences. Increased use of ICT in University libraries results in hybrid systems. It is now the common practice in Africa and other developing countries to find donors providing funding to support ICT infrastructure in university libraries as also the case in Nigeria. The availability of ICT is now making it possible for libraries to provide electronic services to users. With this these development, it is now the thought of many people that introduction of new technology will results into its use (Tibenderana & Ogao, 2008). However, technology acceptance model makes it clear that there are other factors. At the University of Ilorin, Nigeria; resources have been heavily invested on the electronic library to support the services provided by the manual library. In this context, it is essential to study the degree of users’ acceptance of the library with the interface and functionalities provided by it. Determine the predictors of e-library acceptance. Develop a framework for measuring e-library acceptance from the perspective of technology acceptance model. To examine the predictive capability of each of the TAM variables and other variables not included in TAM on acceptance of e—library.